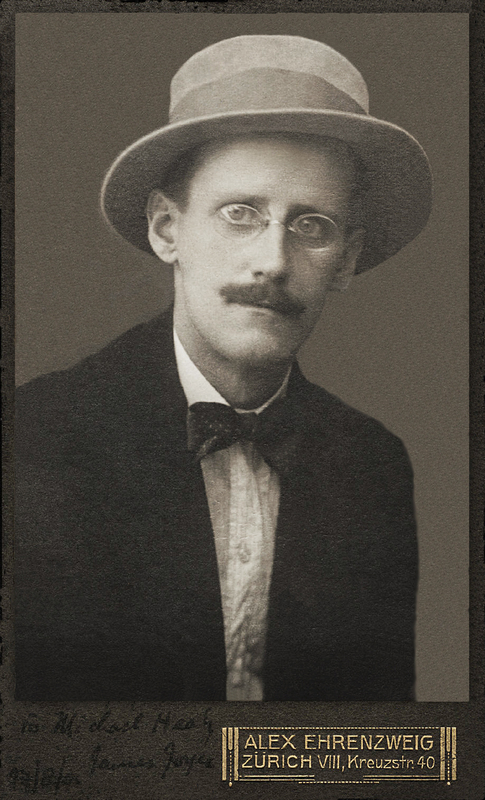 James Joyce in 1915 in Zurich — the time and setting for Robert Anton Wilson's novel, Masks of the Illuminati. Today, Feb. 2, is James Joyce's birthday. It's also the day for the release of the new Waywords and Meansigns album, in which the entire text is combined with music. This is actually the second Waywords and Meansigns album. One was released last year, and this is the second edition. Download both editions at the official website. I was given a "sneak preview" copy of one of the tracks on the second edition, which was done by David Kahne, a prominent music producer, a film and ballet composer, and also a Joyce fanatic. Kahne does the second track, which is 46 minutes and 15 seconds long — really, the length of an album. I think of it as an album. And I've been listening to it, and enjoying it. I asked the Waywords and Meansigns publicist who helped Kahne with the track. There's the spoken words, and music from a variety of instruments. I was told that Kahne did the whole thing. Kahne has produced folks like Paul McCartney, the Bangles, Sublime, and on and on. I am hoping to get an interview with him, which I will share here if it comes to pass. We set Finnegans Wake to music unabridged once already last spring, and now we’ve done it again. With a new cast of all-star readers, musicians, and artists. Our contributors poured so much dedication, creativity, and passion into this project. We are really excited to share it with the world. As always, all audio will be distributed freely under creative commons licensing via www.waywordsandmeansigns.com. Please share this info with friends! if you have any press contacts who may be interested in coverage or reviews, please let us know. Album art by Nicci Haynes. Last year, I wrote quite a bit about Waywords and Meansigns. My interview with Peter Quadrino and Steve Pratt came out quite well, I think.